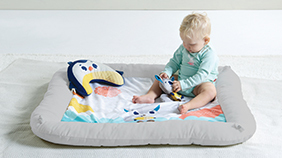 While playing on their backs, babies will enjoy cozy feel created by the soft, ultra-padded borders. 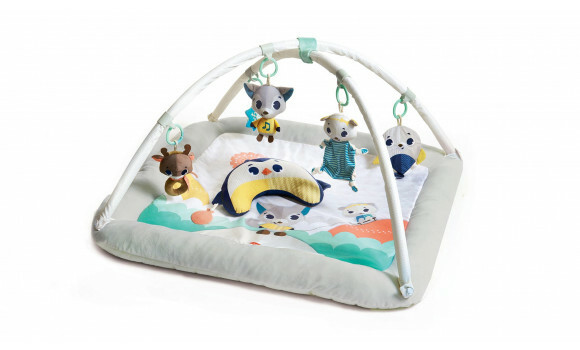 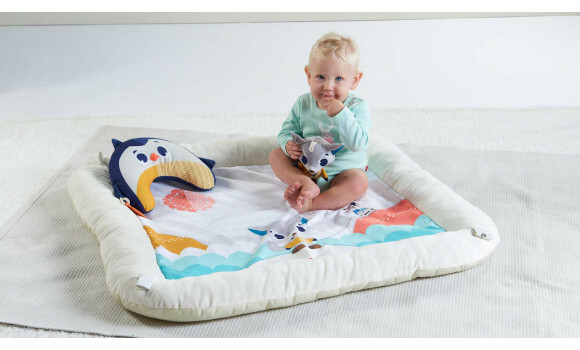 Cute tummy time penguin pillow, engaging seal mirror and other features will help extend tummy time and encourage gross motor skills. 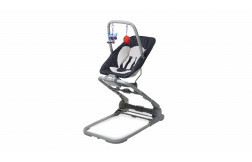 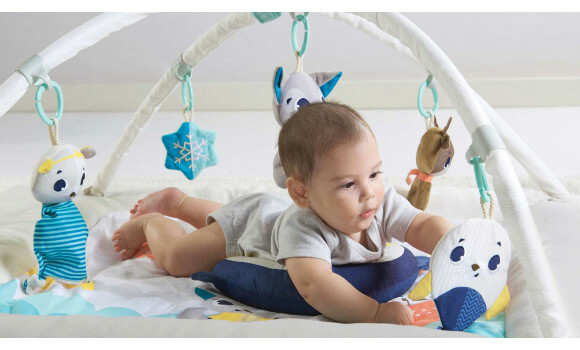 When in the sitting position, baby can continue exploring the toys and enjoy the auditory and visual stimulation. 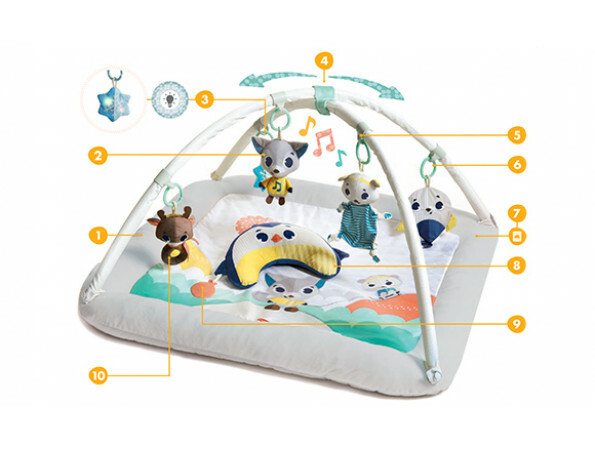 The spacious and cozy play area let’s babies stretch their bodies, experiment with movement and roll over, while the activities, seal mirror and fun music and light toys help extend tummy time. 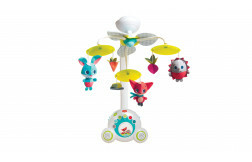 The Gymini® features wealth of textures, colors, sounds and features that provide auditory, visual and tactile stimulation. 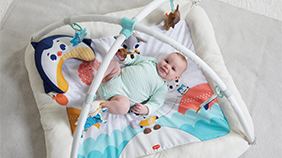 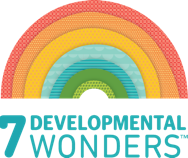 As babies plays with the various activities available on the mat, the understanding of cause & effect and object permanence begins to form in their mind. 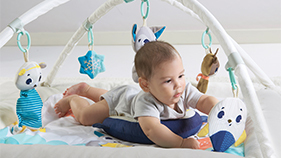 The Gymin®'s unique arch structure creates an "arch effect", a reassuring, comforting space that lets babies relax and concentrate on the product's stimuli. 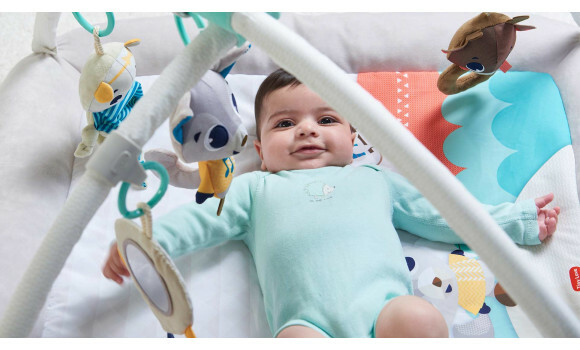 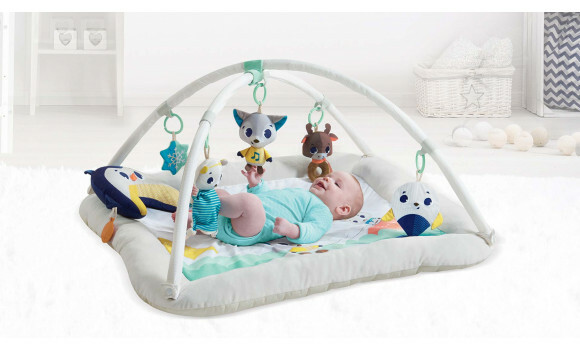 As parents talk to their babies and point out the various toys and elements in the Gymini®, babies develop their language and communication skills. 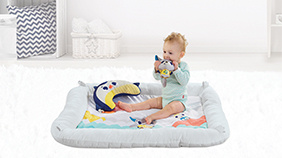 The Gymini®'s versatile quality inspires babies' imagination and creativity, showing them the same object from different perspectives when their own position changes (on the back, in tummy time, on the side) and when the toys' position changes on the arches.